Charlie's Chalk Dust Fuji Nic Salt is available in 50mg (5.0% nicotine) and 25mg (2.5% nicotine). I probably have over 30 different bottles of Nic Salt flavors I’ve purchased in the year since I have been vaping and of those flavors I only use maybe 5 regularly because I was disappointed with the flavor of the others. FUJI is the best flavor I have ever vaped! I have it in my Sourin Air 2 & in my Smok Nord and the flavor is FANTASTIC in both. I wish I had gotten the lower nic level so I can use it in my Orion Q pod system because 50mg is too strong for that pod system, my head would be spinning, but I am definitely going to reorder this awesome juice when I finish my current bottle. 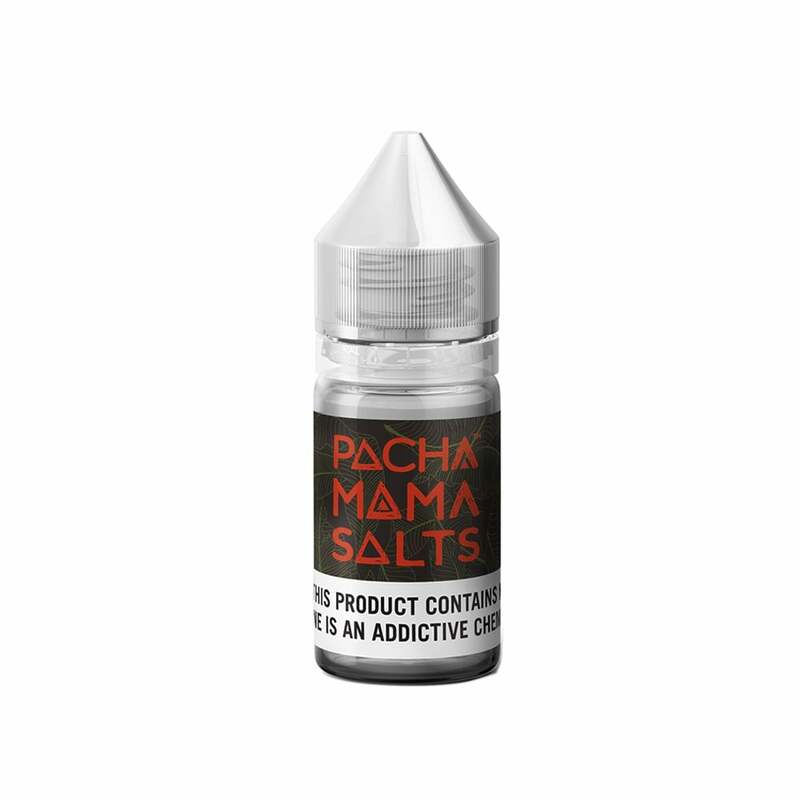 This is my 1st time trying Pachamama salts and I will definitely be trying other flavors. The apple flavor is most prominent to me, and it’s a delicious apple flavor, not the fake taste of some apple eliquids I’ve tried. The strawberry is the 2nd most prominent flavor. I don’t really taste the nectarine flavor, but it’s just a delicious fruit blend. It is on the sweeter side, but I like sweet eliquids. I have not had a problem with it burning my coils yet like another customer commented, it could depend on the system you’re using. This is just the best flavor ever, I’d give it 10 stars if I could, so just order it already! The vape tastes pretty good, but both my brother and I went through pods way faster than usual. My novo pods lasted maybe 3 refills before the burnt taste was unbearable. Maybe I got a bad batch of pods, or my novo battery is burning too hot, but its something to be aware of. If it didnt roast my coils, I'd 5 star this juice.